Below is the most popular among our travelers and optimal tour to Georgia’s program and well-balanced itinerary. Journey plan is carefully drafted with attention to time spent on the road versus time spent touring the sites. Tbilisi city tour on Day 2 of the program includes major sightseeing places of Georgian capital the way that you will not feel tired walking beautiful narrow streets of the Old Town. Day trip to wine region of Georgia, Kakheti, focuses on the town of Sighnaghi, labeled as the “City of Love”. Travel to Kazbegi and Uplistsikhe combines a wonderful mix of Georgian architecture, amazing history of this country, and picturesque beauty of its nature. Our representative will meet you in the airport and transfer to the hotel in Tbilisi. Free evening in Tbilisi for rest and relax. Depending on the actual time of your arrival, we can book a table in a nice and authentic restaurant for you to have a dinner. Overnight in Tbilisi. Our guide will meet you in your hotel’s lobby at 9:30 am to have a Tbilisi city tour with you. Georgian capital city for many centuries of its existence was a place where people of all faiths, cultural and national backgrounds used to live together, making Tbilisi a contemporary metropolis filled with history and atmosphere of the rich and great past. Your Georgia tour will commence this day with the tour of old Tbilisi: at the Metekhi church and King Vakhtang monument you will listen to the Tbilisi founding legend, continue by cable car to ancient Narikala fortress, walk down to the “Legvtakhevi” (fig) gorge and Tbilisi waterfall, passing by the church and mosque. Tbilisi flea market experience will be followed by stroll through the renovated pedestrian alley and part of the “New Tiflis” major renovation project of Georgian capital. And to make this day special – traditional Georgian welcome dinner will be attended. Transfer to hotel after dinner. 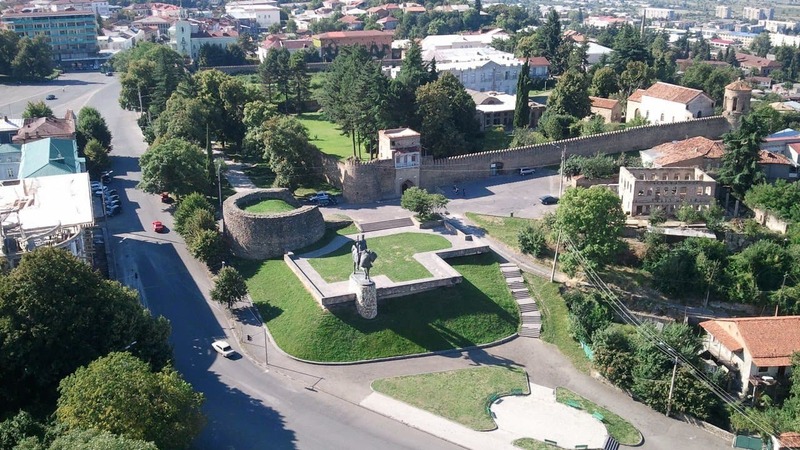 After breakfast at your hotel embark for a day trip to Eastern region of Georgia – Kakheti. The heart of Alazani valley famous for its ancient winemaking traditions. Numerous vineyards as well as both big and small wine producing facilities are biggest landmarks of the region. Your first destination this day will be the “Hyde park on Alazani” – picturesque garden inside the Chavchavadze house-museum in the village of Tsinandali. Museum tour and delicious wine tasting will add up to the whole atmosphere. Drive to the town of Sighnaghi, also known as a “city of love” (mostly for the fact that one can register a marriage there 24/7). Previously a royal residence, this small Kakhetian town is surrounded by an ancient city walls with watchtowers. Return from Kakheti to Tbilisi (about 2 hours drive). Georgia tour would not be complete without a journey to Kazbegi, a small town close to the border with Russia. The tour itinerary for this day will start with the Jvari monastery, architectural gem of the Caucasus, located on top of the hill overlooking major Georgian highlights – its old capital town Mtskheta; famous two rivers merging point where Mtkvari river meets river Aragvi; and transport highway entering Tbilisi. Another site worth making a stop on the way is Ananuri fortress – established in XVI century as a residence for local Dukes of Aragvi the complex is still a place that impresses all those passing by with its nobility and greatness. Other attractions en route include exciting view of two small mountain rivers making one, and flowing side by side without mixing their colors for quite a distance; also a picturesque mountain landscape viewpoint followed by the “Cross” pass. Arrive in Kazbegi, change a vehicle for 4-wheel-drive cars to get to Gergeti Holy Trinity church, nestled on top of one of the highest hills at 2170 meters above sea level. Drive to local hotel for dinner and overnight. After breakfast in the hotel start driving back towards Tbilisi with the stops in Uplistsikhe and Mtskheta on the way. From Gudauri in about 2-hour drive the group will arrive to the cave town Uplistsikhe – the magnificent remains of an ancient pagan settlement where all the houses used to be carved inside the rocks. Continue your Georgia tour by visiting a local family’s private wine cellar for house wine tasting and homemade lunch. After lunch arrive to Mtskheta, old capital town of ancient Georgia and one of the most important historical cities of the country. Visit the old town and its principal sight – Svetitskhoveli monastery. The name of the monastery means “living pillar” and it is widely believed that the place is a burial site of Jesus Christ’s mantle. Being one of the principal churches in Georgia, the monastery is also one of the most revered places in Caucasus. Drive back to Tbilisi. Tour price is available upon request, and is calculated based on the exact requirements and the total number of people traveling. Please include this information in the enquiry form.